Maybe I’m the last person on the planet to see this; definitely worth a listen. And yes – for those doubters; it really is Lyndon Johnson speaking….. 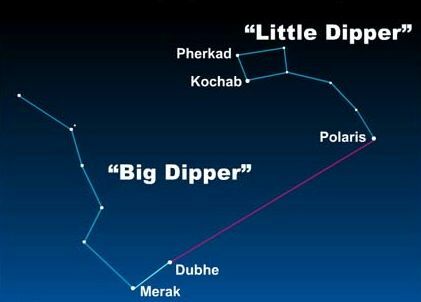 The same California high school science class that launched “space chicken” – a rubber chicken fitted with sensors, sent to the edge of our atmosphere to measure solar radiation – sent Obama to the brink of space after his re-election. Post election bobblehead Obama followed the helium balloon trail blazed by space chicken. Unlike space chicken, Mr. Obama was “just for fun”. 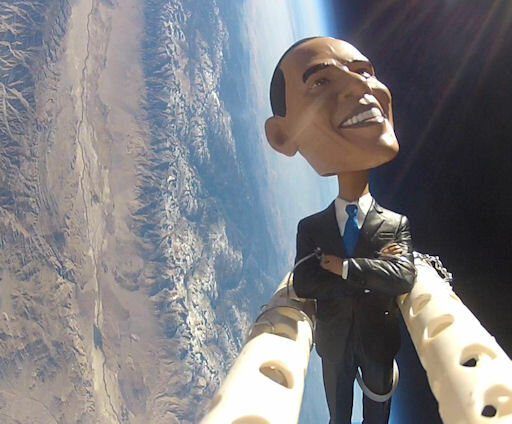 Although no sensors were attached Barack Obama proudly bobbles 120,000 feet above Earth. A comforting thought. Thank you students of Bishop, California. It was hard to wipe the smile off my face after the results of tonight’s election. I was prepared to cry when Obama spoke. Remembering the emotion of America’s last election, I soon understood why it was different this time. Mr. Obama – you are no longer the first black president, you are president of the United States of America. The people have spoken. Listen up, throw caution to the wind, and make a difference. You’ve already beaten the odds. We all know you have so much more to accomplish. The race card is gone, we’ve seen your birth certificate, the debate about the last administration is moot because now it is yours. The next four years may be the fight of your life, but you have nothing to prove and everything to gain. Its time to be presidential.